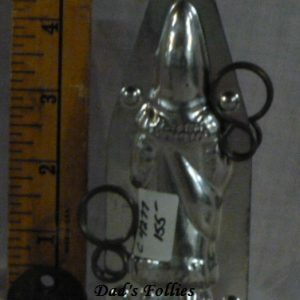 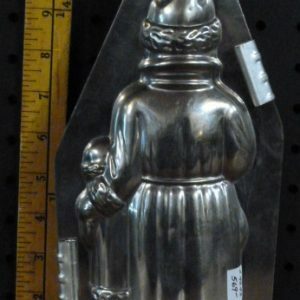 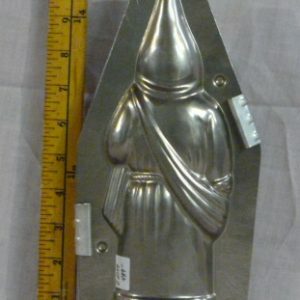 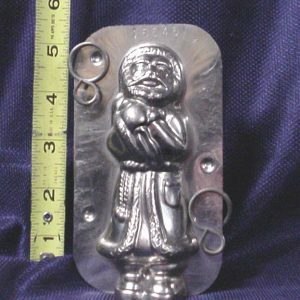 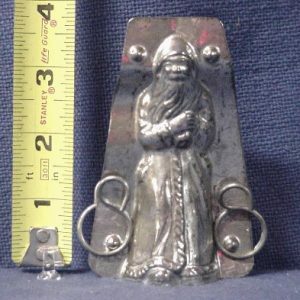 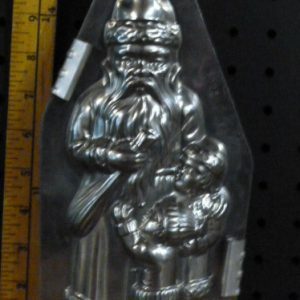 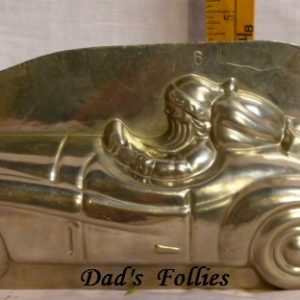 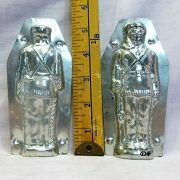 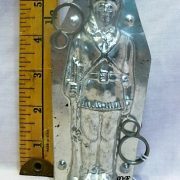 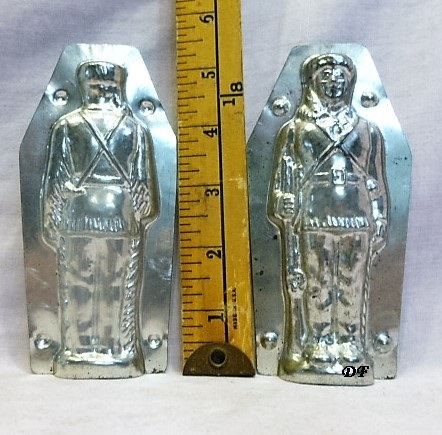 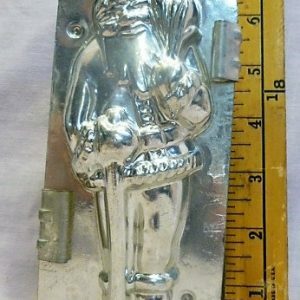 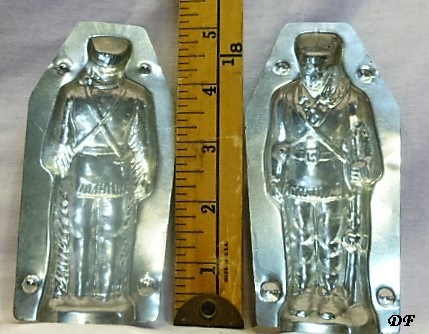 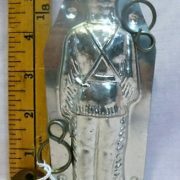 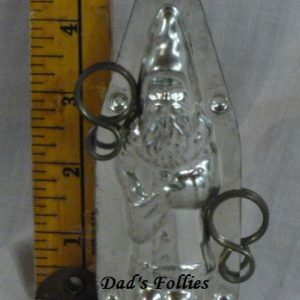 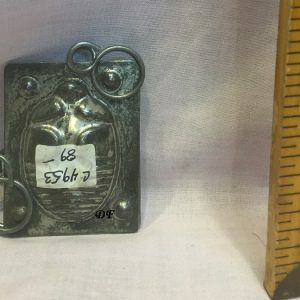 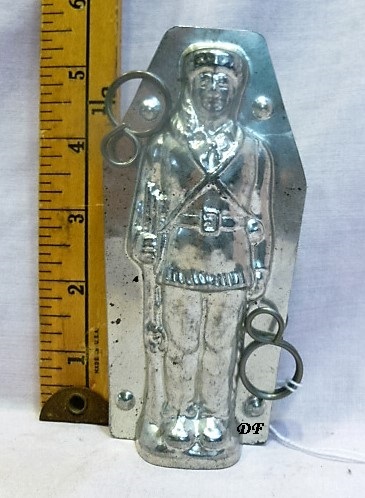 This vintage chocolate mold could be either Davy Crocket or Daniel Boone. 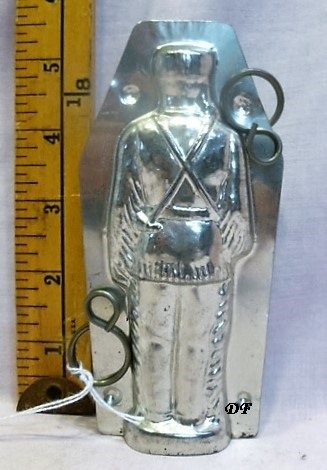 The figure is dressed in fringed buckskin with a rifle by his side. 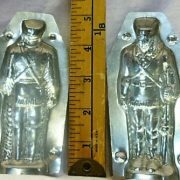 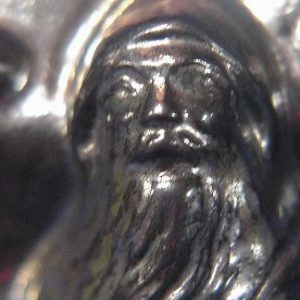 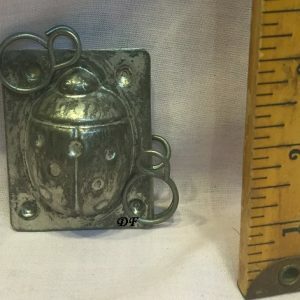 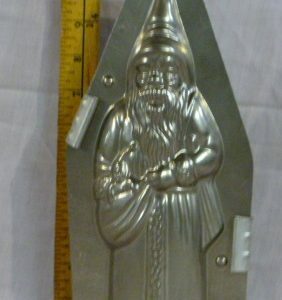 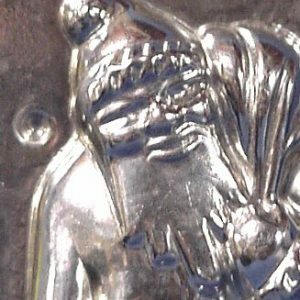 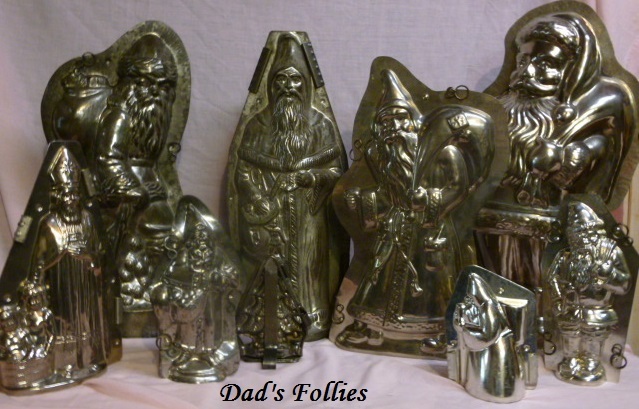 The mold was made by American Chocolate Co. or All Metal and is unmarked. 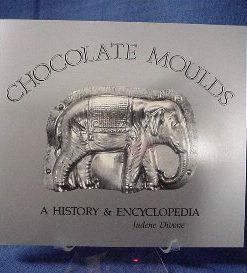 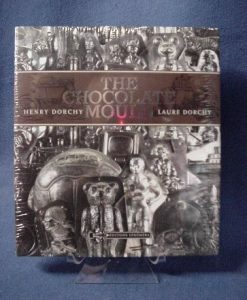 This mold is suitable for molding chocolate.